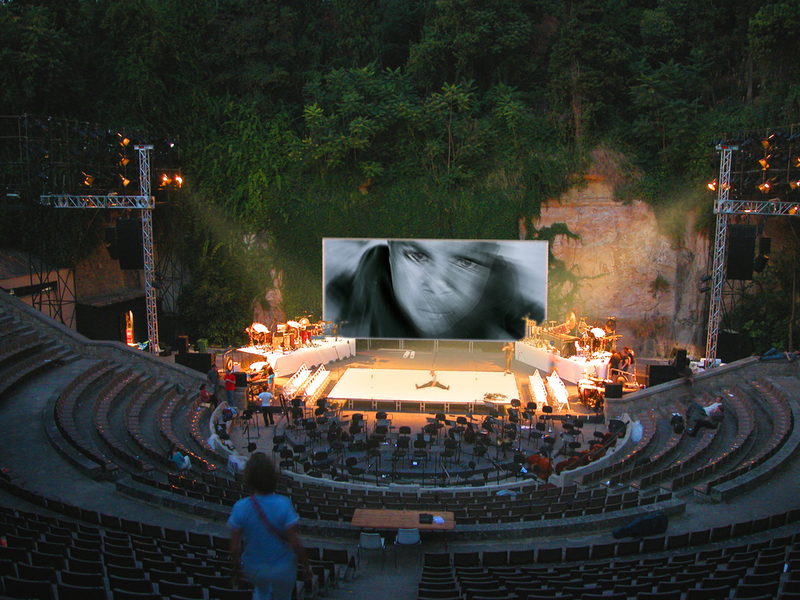 Projected media is a fascinating and contemporary extension of the concept of classical scenography that offers immense creative and dramaturgical potential. The successful use of media and space has a very immediate and emotional impact. At Image Laundry we love to compose and orchestrate illusion and sensory experiences. The Divisional Board of Mercedes-Benz Cars presents its strategy, key initiatives and goals for Mercedes-Benz Cars. Instead of a standard design for corporate presentations we opted for a premium approach adding a new dimension to speaker support employing 3D animation and motion design transforming the space into an immersive experience. 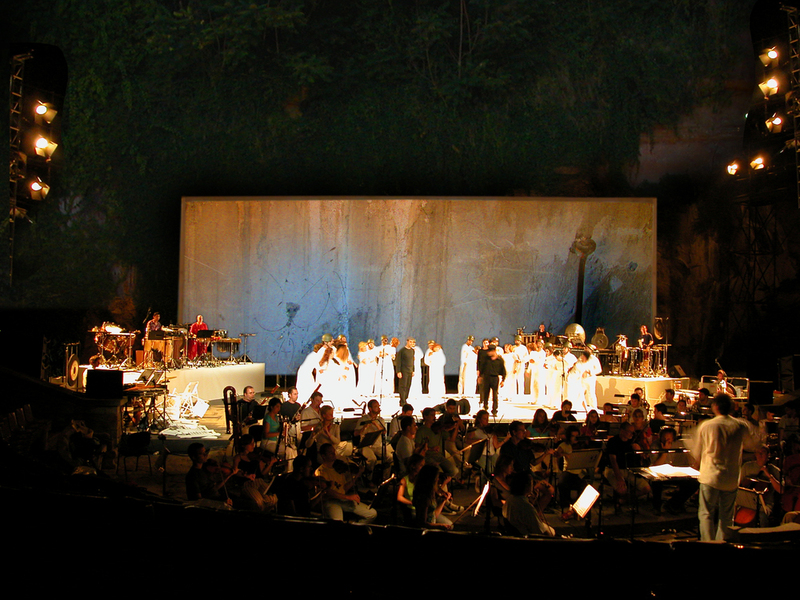 A collective opera of 7 contemporary composers, for orchestra and mixed choir. Artistic and critical appraisal about wars and violence. Libretto by the Catalan poet Albert Mestres, musical concept by Josep Vicent, co-produced by the Festival Castell de Peralada, l'Institut Valencià de la Música, el Fòrum Grec 04 de Barcelona with the participation of the choir of València, the Amsterdam Percussion Group and the Orquestra Pablo Sarasate, director: Ramón Simó, screen designs: Marta Hincapié and Marius Wehrli. "To the Top" - Closure of the 2012 Dealer Conference in Davos Switzerland. We transformed the famous Davos Congress Centre plenum into a unique vantage point by projecting an epic flight over a dreamlike mountain scenery made up of Europe’s best-known summits.